Neither too traditional or too contemporary, the Jasper Granite Chair is sophisticated and stylish, able to create a fresh, inviting look wherever you place it. The gunmetal gray upholstery blends with any decor, while still making a dramatic statement. 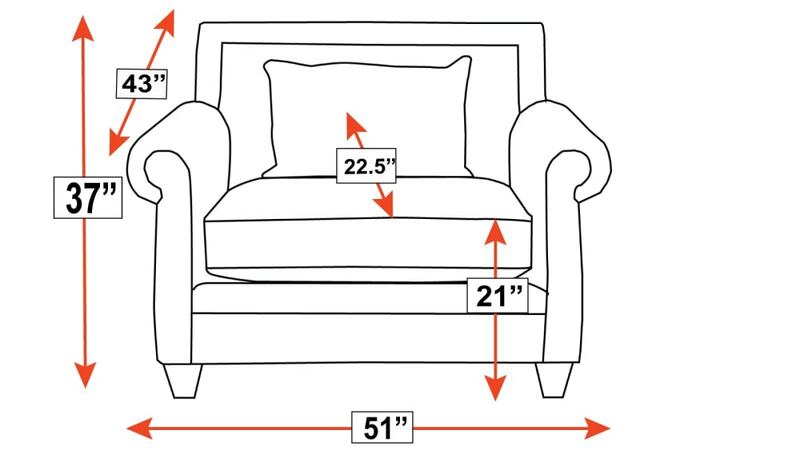 Turn the house you have into the home you want, with Gallery Furniture making it possible by delivering to your home TODAY! This chair was handcrafted by your fellow Americans and proudly Made in Texas. 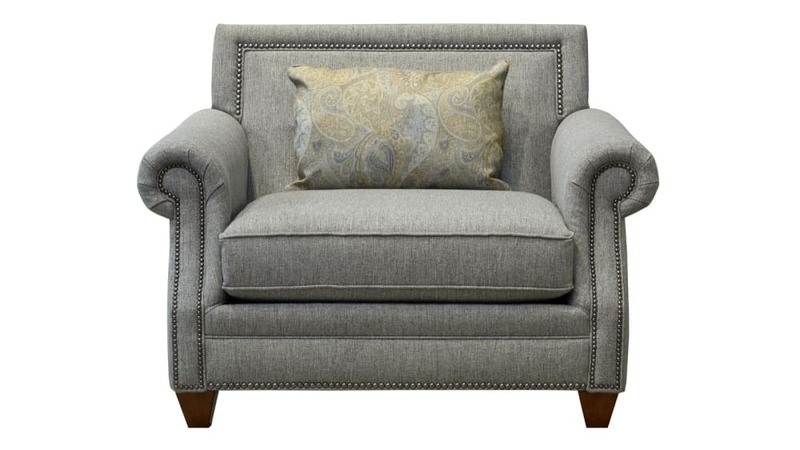 Gunmetal grey toned upholstery blends with any decor, while still making its own stylish elegant statement. A high-quality, American-sourced, laminate frame will stand up to the stresses of family life, children, and daily living. Polished, pewter nailhead trim adds sophistication, as well as eye appeal. The Dacron-wrapped, foam cushion cores will provide years of comfort and great looks. A complementary accent pillow enhances the cultivated aesthetic.